There aren't enough food, service, value or atmosphere ratings for TGI Fridays, New Jersey yet. Be one of the first to write a review! We come here about once a month. On occasion they have had a few hiccups, and one disaster, but they usually have great food and service. 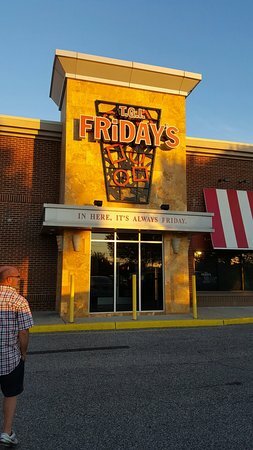 if you like TGIFridays, you'll like this place. Despite looking busy, there usually isn't a wait. Nothing outstanding but better than I was expecting. We were seated right away, the server took our order quickly but when the food came out it was warm but not really hot. Overall not a bad experience. You get what you pay for. The service is usually good but the food quality is typical of that type of restaurant. I will only go there once in a blue moon. There are alot of better choices for the same price range.